On April 26th, the world lost the most vibrant energy I have ever had the pleasure of meeting. Kyla Pokorny came into my life on March 3rd for a Meet your Angels and Guides class. That was my first meeting with her, only eight weeks before she was to pass from the treacherous effects of Ewing’s Sarcoma, an aggressive bone and soft tissue cancer. Those eight weeks have changed my life forever and the way I live my life will never be the same. During those eight weeks, I met many of Kyla’s friends as she brought friends and family members with her to every event, introducing them to her new home. She wanted them to experience what she was experiencing. She shared her light with everyone who connected with her at the Center, making new friends along her journey. From Sound Healing to Feng Shui to Psychic Saturday, she would receive, listen, learn, and ask questions. She tried to absorb everything that was presented to her and I can still hear her voice as she would say to me, “Priscilla, you’re blowing my mind. How do you know that?” Her body, always in so much pain, would receive whatever healing it could absorb. She would comment on how the singing bowls took her pain away and she would feel so good the rest of the day. No matter what was happening in her body, she was always at peace while she was at the Center. My last time seeing Kyla was on April 15 at a special event we were doing at Whole Harmony Apothecary in Haddam. She had scheduled appointments for herself and her aunt who was visiting for Easter. She has just spent a week at CT Children’s Medical Center and was now on oxygen and using a neck brace to support her head. She was weak and frail but insisted on attending. She had sessions with me, Dan and Christine and then just rested on the couch enjoying the energy of the space. As I was heading into my last reading for the day, she said to me, “I’ll see you on Wednesday night for meditation.” Sadly Kyla went back to CCMC the next day on Easter Sunday, a very fitting day of resurrection for her that would lead to her Ascension. To say that Kyla was strong is an understatement. 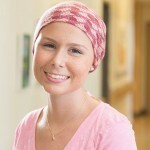 From the age of 14 with her first diagnosis to the age of 20 when she left the earth, she was an advocate for children’s cancer. She was a fighter and was constantly giving back. She was a friend to many who were patients and parents of patients at CCMC, helping them to understand the treatments and ways to make it easier. She had a vast network of people to whom she was connected. All this while fighting her own illness, not once, but three times. There is strong…and then there is Kyla strong! I deal with death and dying every day of my life. I speak with those on the other side on behalf of my clients. I separate myself, feeling the emotions, but not feeling the emotions at the same time. I don’t often break down so when it came to last Monday afternoon for Kyla’s wake, I thought for sure I would be fine. I walked through one chapel, signed the guest book, walked through the next chapel where pictures and accolades for Kyla were beautifully presented and followed the line of people there to pay their respects. I had met some of Kyla’s family but not all of them. As I approached the family, her father, whom I had never met, was first in line. I reached out my hand to introduce myself and he called me by name and gave me the most heartfelt hug I had ever received. He talked to me about how much the Center meant to his daughter and how grateful he was for what we were able to do for her. He held onto me and I held onto him and I lost it. How could everything he was saying to me have happened in just eight weeks? How could hearing his words about her connection with me reduce me to a sobbing mess? As I continued down the family line, I sobbed while doing my best to provide condolences to them. Those family members I had met at the Center repeated the same words over and over to me about how much Kyla loved coming to the Center and what a difference it made in her life. When I finally sat down in the chapel to recover, I was shaking. It was as if a truck of emotions had just run over me. I was taken back to the first day that I walked into the Center in 2011. It was empty and I had no idea why I needed such a large space…and a large rent. I made an agreement with Spirit that day. My job was to “just show up” and they needed to take care of the rest. I don’t ever claim to have built this business to what it has become. Many would say I do more than showing up because of the number of hours I put in daily. I say to myself every morning when I get out of bed, “Just show up and the people who need to hear what I have to say will find their way in.” That day, sitting in the chapel, watching people come through the line, I finally understood what “showing up” really meant to a family who lost a loved one and I wept because I had lost her too. I can’t exactly tell you the specifics of how meeting Kyla has changed my life, I just know that it has changed. She’s been presenting me with many messages the past two weeks through different client sessions. She has joined me in my evening meditation as if to guide me to the messages I need. I have her mass card under my chair as I meditate. One of her favorite quotes is printed on the back. If ever there is tomorrow when we’re not together…there is something you must always remember. You are braver than you believe, stronger than you seem, and smarter than you think. I’ll always be with you. There is strong….and then there is Kyla strong. Rest in peace Kyla. You are loved and you are love. This is a beautiful tribute to Kyla. I’m so sorry I was never able to meet her here on earth. Much peace and many blessings to you and her family. What a beautiful and moving tribute you have written for Kyla, even though I have never met her, I will not forget her either. She has touched my heart with your words, I’ll be thinking of both of you for a long time. I’m so glad that she found you and the center when she needed you the most. Thank you for this beautiful tribute to a soul of such light and grace. In the brief time I spent with Kyla, I felt love and life in her presence. Even on that last Saturday, as exhausted as she was, she expressed her love and sent her energy to those she would soon leave in the physical realm. I am so blessed to have met her. To receive a monthly newsletter of events and happenings in the Center, please complete the form below.